#baldforacause. I am currently Director, Amazon India and have previously worked at Hindustan Unilever as Global Marketing Director. I am a Chevening (CRISP, 2018) Fellow at Oxford University and an alumni of the Swedish Institute Managment Program (2014), FMS Delhi, Stella Maris Chennai and Vidya Mandir Chennai. Feel free to ask meghna for a new update on this Fundraiser. Meghna Apparao decided to donate her hair to make wigs for cancer patients and raise awareness about the disease. ﻿Chennai: People are coming together in the fight against cancer and are doing their bit to alter the conversation surrounding the disease. One such inspiring person is Meghna Apparao, who not only shaved her head to donate her hair to make wigs for underprivileged cancer patients but also challenged stereotypes throughout the process. 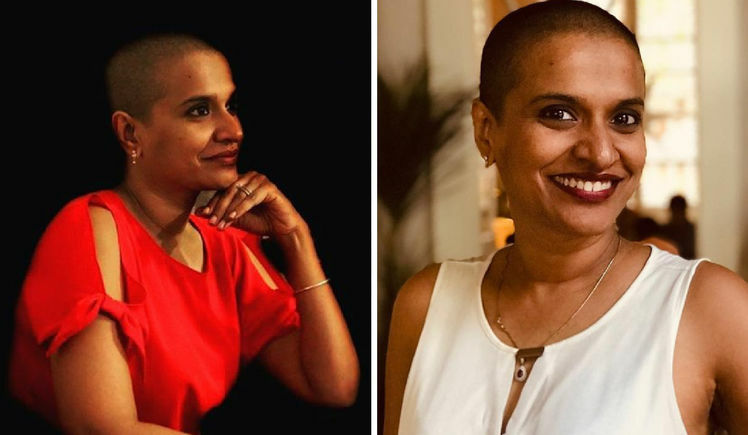 Director at Amazon, Bengaluru, this Chennai woman talks about her #Baldforacause initiative and the need to challenge the stereotypes in our heads. Though Meghna had a great career, she felt a void after her grandfather’s death in 2018. “I thought of doing something that would be hard to do but at the same time would give me happiness. I came across a post about how a woman donated her hair for cancer patients. This inspired me to shave my head and donate my hair for underprivileged cancer patients,” she says. Initially, her friends and family opposed the idea of her going bald and suggested that she plan a fund where everyone can monetarily pitch in and gather help. Moreover, being married to a north Indian there was a stigma and social connotation associated with a woman shaving her head. “People around me told me to raise money where everyone can contribute. But I was mentally prepared to shave my head. I got in touch with Chennai-based Cancare Foundation, that is associated with underprivileged cancer patients. 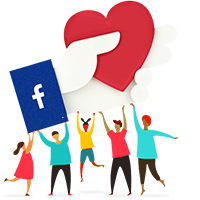 Also, I used Ketto India’s socially funding platform for crowdfunding and raised close to Rs 12 lakh. I was pleasantly surprised because I thought I would be able to collect only a small amount. After shaving my head and posting about the initiative on social media, four of my friends came forward and donated their hair for the same cause,” she shares. Not only raising awareness surrounding cancer but through the #Baldforacause initiative, Meghna is challenging stereotypes as well. “When women cancer patients undergo chemotherapy, they lose their hair which affects them psychologically. And this, in turn, hampers their healing processs. For me, the challenge during the entire process was what people would think when a corporate head shaved her head and so on. But once it was done I felt like it’s no big deal and everything seemed to look alright. I was happy that I could create an impact by sharing my story and inspiring others to do the same,” muses Meghna. One incident that occurred a few days before she shaved her head brought in a lot of happiness to Meghna. “I was sceptical about the whole thing and was discussing it with my family. My 14-year old daughter told me nonchalantly, “Mom, go big or go home. If you really wanted to cut your hair, go ahead and don’t worry about it because you are definitely going to create an impact.” Well, that’s when my proud mom moment happened and I couldn’t ask for more,” she sums up. #baldforacause, help share the video and spread the world. #baldforacause to #baldisbeautiful. Be Kind. Be Brave. Spread the cheer, in the Happy New Year! When I shaved my head, what impacted me the most was the revelation of the fears that we carry inside us, the ones that hold us back, the ones that make us hold others back, the ones that stop us from #gobigorgohome. There was a monster out there. I hugged it. And... surprisingly, it turned out to be a real cool dude. #baldisbeautiful! I have been surrounded by love and kind words #brave #courageous #fierce(my personal fave!). And many more people wanting to contribute #cashnot hair, so I started this campaign to make it simple and easy for you too. While you may not be able to shave your head (yet!) do donate for this cause and... Spread the cheer in the Happy New Year! See the attachment for further details of Cancare Foundation. Your message will be directly emailed to meghna and you will receive his/her response on the email address entered below.